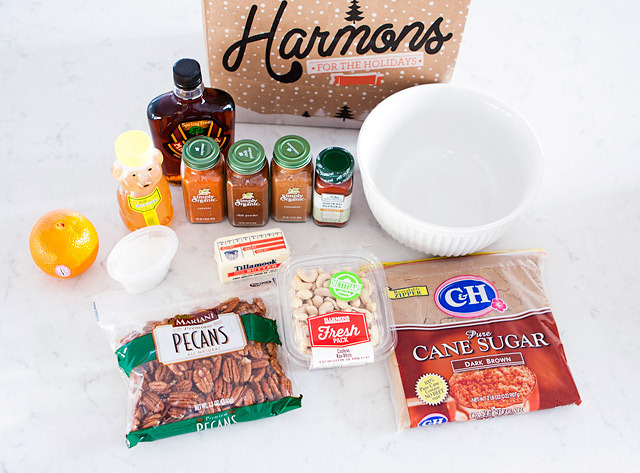 I’m back with another great snack mix to share this holiday season. 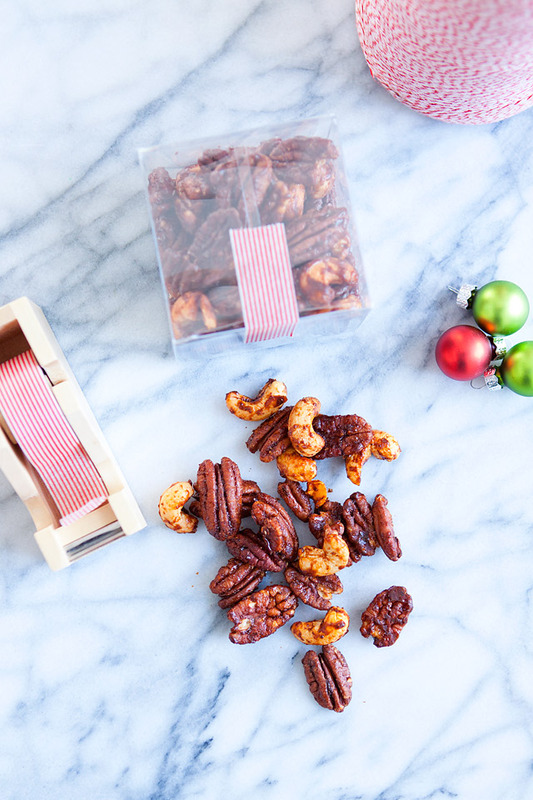 Sometimes it is nice to get a break from all the sweets, and nice nut mix is always a good option! It’s filling, full of protein, and this mix is a little sweet and a little spicy. I love the mix of sweet and spicy flavors. And, the addition of just a little bit of orange zest and fresh juice give the perfect amount of citrusy flavor! 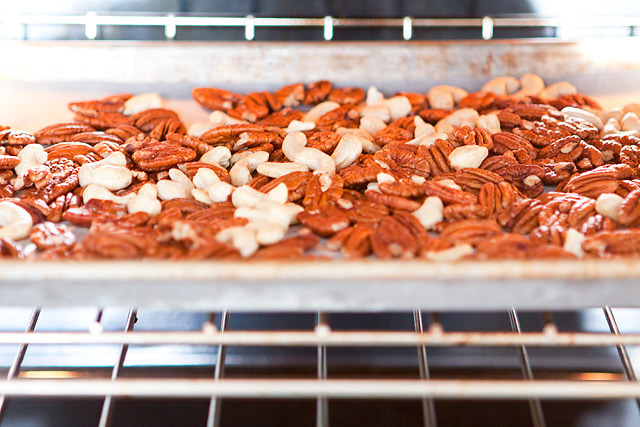 Place the nuts on a parchment lined baking sheet and bake for 350 degrees for 5 minutes. Toss and mix around, and bake another 5 minutes. 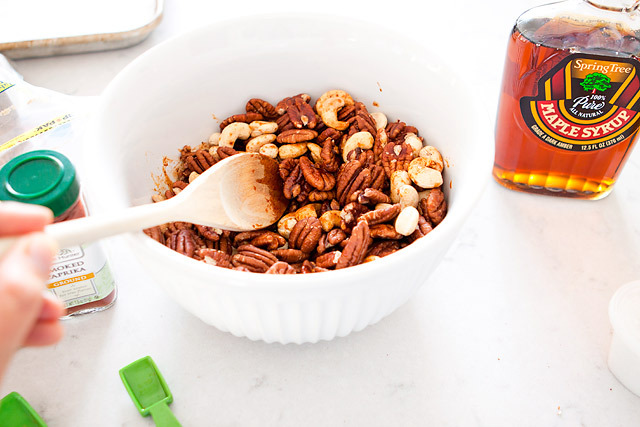 Toss the warm nuts into the mixture until evenly coated. Then, roast on a parchment lined baking sheet for 12-18 minutes to get them perfectly toasted. Be sure to stir the nuts every 4 minutes to prevent burning and clumping together. Remove from oven and allow to cool at least 10 minutes before serving. 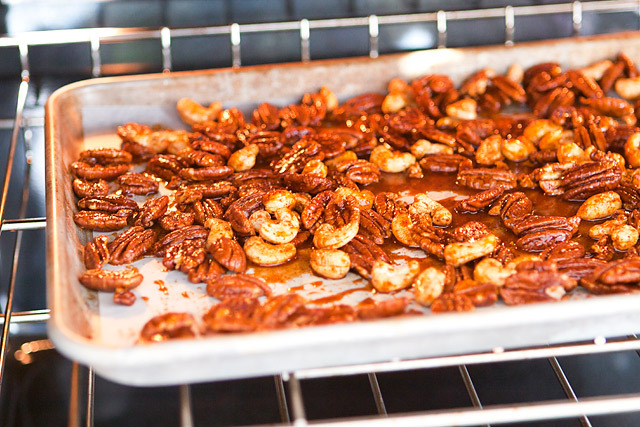 Mix around the nuts as they cool to avoid any clumping. 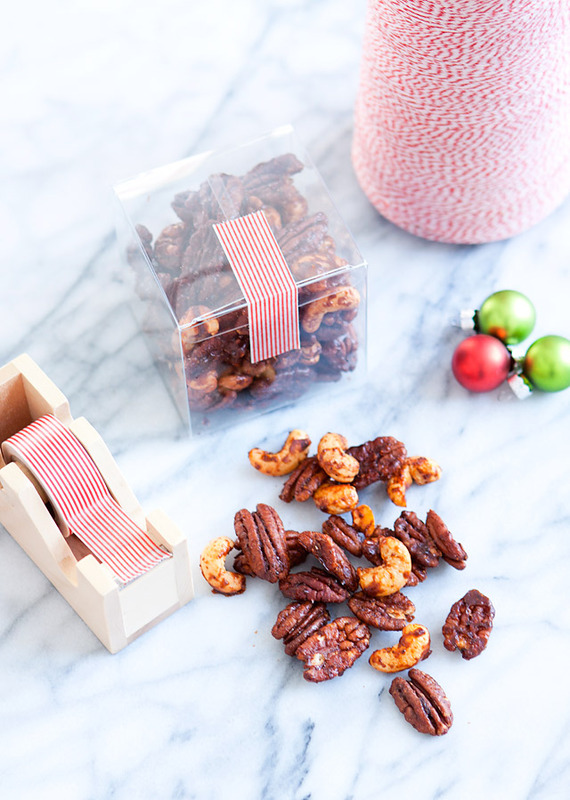 Package up and share some with your friends and family who enjoy a nice little kick to their nut mix! If you’d like to see a video of when I made this recipe on an ABC4 segment, be sure to check it out here.